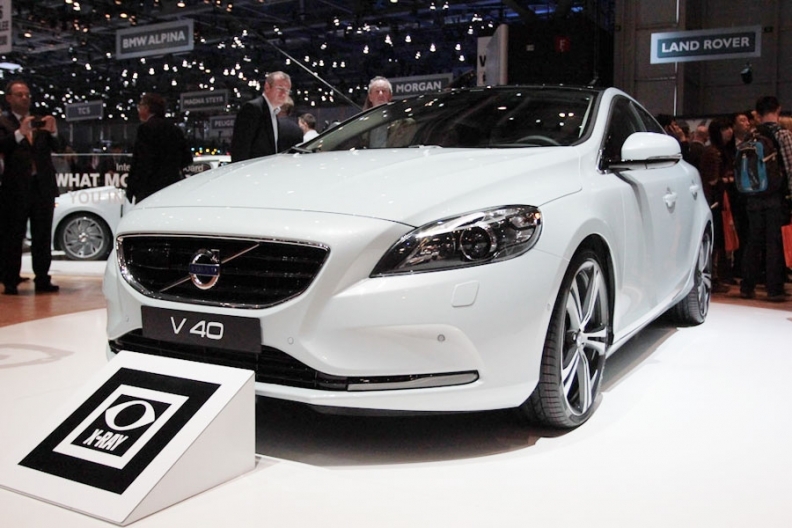 STOCKHOLM -- Volvo unveiled the V40 five-door hatchback this week in Geneva that features the world's first pedestrian airbag. The V40, a replacement for the C30, is Volvo's first model designed under owner Zhejiang Geely Holding Group of China, since Geely bought the automaker from Ford for $1.8 billion two years ago in the biggest overseas acquisition by a Chinese automaker. The car has an airbag that ejects from the hood to protect pedestrians from injury after an impact. The Swedish carmaker is counting on such innovations to polish its safety image and help it double global sales. Volvo, which will start building the V40 in May, targets annual sales of 90,000, mainly in Europe, where demand is strongest for small cars in large urban areas. The model won't be sold in the United States. 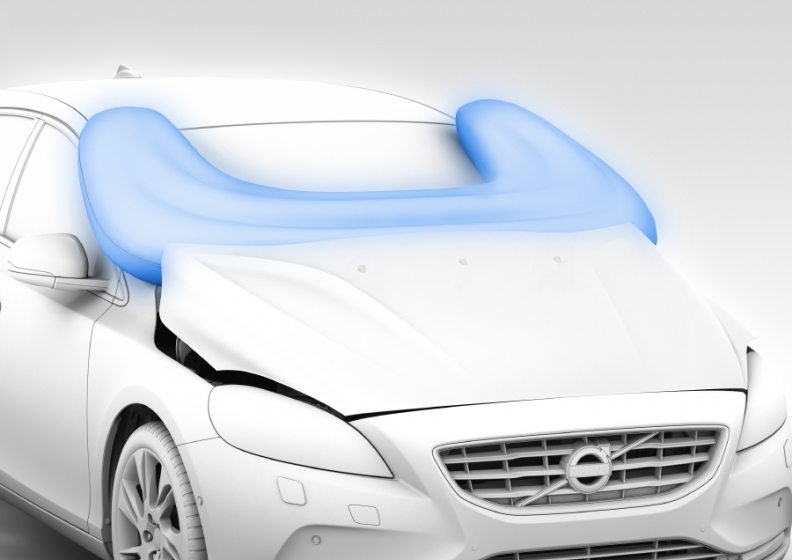 The V40 pedestrian airbag ejects from the hood to protect pedestrians from injury on impact. Volvo is targeting the hatchback at potential buyers of BMW's 1 series, Audi's A3 and Mercedes' new A class, as the carmaker tries to push its products into the premium market. But Volvo still needs to fill other gaps in its product lineup and replace aging vehicles as it seeks to meet a target of lifting annual volume to 800,000 by 2020. Volvo sold 449,255 cars last year. That compares with 1.3 million at Audi, itself a unit of Volkswagen AG, which delivered 8.27 million vehicles across all its brands. 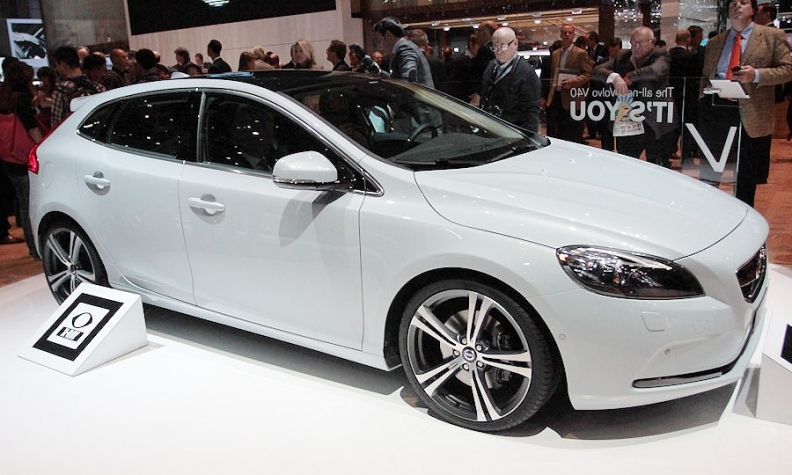 The V40 "is an important model for the brand as it further progresses along the road to making Volvo a more viable premium-brand competitor," said Jonathon Poskitt, head of European sales forecasting at LMC Automotive in Oxford. "For Volvo to really take the fight to the likes of Audi and BMW, it will need to look to roll out this new, sharper styling to the replacements that come over the next few years." Volvo is pitching the hatchback at potential buyers of BMW's 1 series, Audi's A3 and Mercedes' A class. Volvo dealers are hoping for a vehicle at the other end of the spectrum for American buyers: A big luxurious sedan that can challenge BMW's 7 series, Audi's A8 and Mercedes S class. "We're missing that next step up in the luxury line," said Randy Pullen, the general manager of a Volvo dealership outside Atlanta, Georgia. "We have to create a broader selection of product." The Volvo lineup is also missing a subcompact car and is facing a growing need to replace aging vehicles. The XC90, its largest crossover, will be 12 years old when it's renewed in 2014. The S80, its biggest sedan, will be nine years old when it's revamped in 2015. The average lifespan for models in Europe is about seven years. The S40 and V50, Volvo's smallest sedan and wagon, are both eight years old, and the company has yet to announce when they will be replaced. Volvo pulled them from the U.S. market last year because of poor sales. "We have not made a decision on whether to go further up and down" in the various car segments, Chief Executive Officer Stefan Jacoby told reporters March 6 at the Geneva auto show. Volvo intends to focus in the coming years on "core" cars, such as the midsize S60 sedan and crossover XC60, its two bestsellers, he added. Volvo is also talking with other carmakers about sharing development costs for future compact cars, Jacoby said, declining to identify the candidates. In China, Volvo's fastest-growing market, the Swedish company needs more cars with an extended wheelbase to appeal to the chauffeur-driven market, said Bill Russo, a Beijing-based senior adviser at Booz & Co.
Mercedes, BMW and Audi all offer models with extended wheelbases in the market. "If Volvo will significantly grow its business, its next stage of development has to be to bring a higher level of localized cars to this market, and I think that's where they're headed," Russo said. Volvo makes the longer S80L model for China at a factory co-owned by former owner Ford and Chongqing Changan Automobile Co. The Swedish carmaker aims to open its own plant in Chengdu in late 2013, and plans a second factory in Daqing. In the United States, Volvo's largest market, the company needs more fuel-efficient cars, which are becoming increasingly important amid high gasoline prices, said Jesse Toprak, vice president of industry trends at TrueCar.com in Santa Monica, California, which tracks sales and price trends. Volvo should also consider bringing diesel cars, which have "contributed greatly" to VW's growth, to the United States, Toprak added.